I ran 31 miles this weekend and I am at my highest weight in over 2 years!?!?!?!?!?! I AM NOT OK WITH THIS!!! I know what caused it... a Marathon appetite coupled with poor eating habits.... Add a mix of stress and some major life changes and BAM!! Back to recording what I eat, filling my plate with fruits vegetables and healthy proteins.. No more drinking my calories. No more repeat visits to the candy bowl. No more hint of lime chips. Back to portion control and an awareness of what I put in my mouth..
What is your "Onderland" you are on a mission to find? It's the food, I agree. However, it is just plain unfair to run so much and gain weight. I'm all for the reset! I feel for you! I'm also tall (6 ft) and have gained about 10 pounds recently due to stress and overeating. Luckily I hide it well but I know it's there!!! Just letting you know someone else understands what you're going through. Side note (if you feel comfortable answering) ~ where do you find non-running clothes that are tall enough AND fit muscular thighs? I haev been eating everything in sight too. Beyond training, I think my nerves flare up before a big race. The bigger the race event the bigger the eating frenzy. Which starts small, hardly noticeable with a few extra bites here and there but before I realize it I have chosen to eat an entire maple covered cinnamon roll for breakfast. And before reading your post, I told myself it was okay because I had just ran 7 miles this morning and would follow it with another run tonight. Thanks for the reminder! Racing does not equal eating poorly. I think I'm going to go pace up and down the hall to burn off a bit of that "breakfast." this is a great --- noooooooo - fabulous post. Loved the comic. I'd have taken the towel off though --- that's a pound right there, right?! Mel -- you know I'm in the same boat as you. . . well, I'm actually the one rocking the boat! ;-) You look absolutely amazing, and are so super speedy, so don't let the scale bum you out. I know it bothers you though. LORI -- The Buckle has super cute jeans that are in long lengths and fit normal sized girls. They even have Miss Me's in 34x36! My "onederland" is hitting 10 minute miles consistently! I can only seem to run them on the TM and that's not good enough!! I won a Garmin 205 off of ebay yesterday so I am hoping that it will help me on my long runs and the shorter runs once the weather gets warmer! Good luck! RESET!!! OK now do what what you know you can do...ditch the scale and the rest will fall into place! You are strong, determined and resilient...you got this!! You've got this girl, you know what you need to do and you know you can do it. Reset! Most people have their breaking point...a weight that is just not ok with them and it prompts them to change things. I feel your pain as I was there a couple months ago. You can turn it around. I love the reset idea! When you first take up running it seems like the pounds melt away. Then your body gets used to the long runs. I've seen the same thing over and over again--endurance runners who plateau or even gain weight. I agree with you about the food. If you think of it as fuel for your runs, that might help. Also, using a food journal to keep track of everything you eat will really help. It really helps to remind you to make the right choices. Also, you need to kick start your metabolism. The best way to do this is with interval training--the more intense the better. Good luck. I know once you put your mind to it, you'll have nothing but success. I feel for you! I'm having the same problem! It's all about the food. It's just not right. I run 5 miles, but then eat like I ran 10. I hit the reset button on Sunday, and so far I've stuck with it! We'll see what that scale has to say next time! My confort weight is at 185,too. I have not always been there. In 2000 I started walking and then running, and even though I could run 10 miles, I was still at 237 pounds. This changed in 2003 when I changed my life and lost almost 60 pounds. The only time I got close to 200 again, was after the very sudden passing of my dad in 2009. It took a while to get things back to normal. 200 is my warning number - the number I promised myself I would not pass, ever again. Right now I would love to see the what happens if I get below 180. Would it affect my times? It feels good to know that it is possible to be athletic, but still have these issues. Speaking of Biggest Loser, when Jillian had a podcast and BL first started doing marathons with the final four, she was PISSED, because she knows that marathons can actually inhibit weight loss, because of the extra crazy hunger. I exited my personal version of "Onederland" five years ago - you know, that college weight. Ever since, I've kept a watch on my food; never "how much? ', only "what?" I wrote my own blog about it yesterday - how I've switched my eating habits after deciding to go vegetarian for a time. I eat more vegetables, switched all my old snacks for healthy ones (fruits and vegetables), and even managed to lose my own sweet tooth. I prefer to think that this has really helped keep me within my personal target. Not that you need it, but best of luck with your mission. Knowing you, you'll crush the goal in no time! You are amazing and beautiful - don't forget that!! It sounds like you know what you need to do to get back to Onederland and I KNOW you can do it!! I'm a candy lover myself, so I know what you mean about extra trips to the candy bowl or always eating dessert. :) Good luck! I have been working towards wonderland for 3.5 years....right now I am 10lbs away! I am having a hard time finding the balance of eating under my calories and runnning! Damn it makes me hungry. Oh my gosh! I was in Onderland and now I'm above again, but I am pretty sure you are at least a foot taller than me! Good luck! I know you'll get there! I know how you feel. But it's important that you are identifying the problem now and not living in denial about it! I'm working hard to get back into onederland myself. We can do it! well congrats on the the miles lady! and weight is tricky, but it sounds like you have a good plan. i always have to remember to not eat like i'm training for a marathon when i'm point of fact not training for a marathon. so at least you ARE training for an 'm'! so there's that. and a big 'm' at that. Bleh. I hear you. I've been running like crazy and up pounds. I know it's bc of my bad eating choices. Need to get that under control. Thanks for your honesty in putting the numbers up there. You aren't alone. If you answer Lori's clothes question, will you blog it? I'd like to hear the answer, too. Damn scale! Get rid of it and find won that works!!!!! You'll be in the ones in no time! You just keep on keepin' on. You rock Mel! I am totally with you. My wonderland is 170 (I'm a few inches shorter than you; okay, more than a few) and after my first half marathon I was right there. But I have slowly let my weight creep up, too. I saw Tricia's post last night and thought, "yup, time to reset". Here's to shedding extra pounds and getting back to onederland (I absolutely LOVE The Biggest Loser). marathon training definitely does NOT equal weight loss! PS Happy Friendaversary!!! Can't wait to celebrate in BOSTON! I totally feel you on this one! I recently lost 55 lbs and then I started slacking and keep gaining 3 lbs...then I get refocused and then lose it and gain it back. It's so funny, cause I'm running more and more miles each week - but I also eat more and more. I feel like a teenage boy somedays! We just have to refocus each week and keep ourselves in check. Sometimes I get so comfortable and then I forget that healthy lifestyle is a life long thing! And to think - at one time, 200 was a dream weight. I bet that when you were in your process of losing weight, you did a happy dance when you saw 200 on the scale! Isn't it strange how our perception of "ideal" changes as we change? As we get healthier, and our priorities align, we realize that we demand so much more of our bodies. Its not enough just to be "In Onederland", but to be fit, happy, and confident. So go get that 185 girl! You've been there before, you can be there again. Time to put mommy back at the top of the list! i love your post, i am in need of hitting a reset button myself and now seems like a perfect time to do it, thanks! Everyone needs a little "RESET" once in a while. But I retain water BIG TIME the day after a long run, so check over the next couple of days. That being said, try not to worry too much about the number (easier said than done, I know) - you are amazing and you do amazing things with that body of yours! Just focus on HEALTH! Haha! The Weight Watchers coined the term 'Onederland' years ago. I'm 6'1" and now I'm going to quit beating myself up over the being in the 180's because I was convinced the 'extra' weight was part of the reason why I'm such a slow runner. Thanks for proving me wrong! You are the picture of health and you're going to shine in the Boston Marathon so quit stepping on that scale! That's probably why you've been feeling so tired. :( It's not fair. So easy to put on, so hard to take off. I saw Tricia's post, too. Happy reset to you! I totally understand you on the weight issue. It's ALWAYS an issue for me. It took me over a year to lose my baby weight from Michael (17 months now) and I was training for a marathon during that time. HORRIBLE! I starve when I am in marathon training and its super hard to say, "I'm not going to eat that cookie" (or 5 cookies) after I just ran 18 or 20miles. Good luck, girl! I'm rooting for you. I totally understand and sympathize. FOCUS and be ACCOUNTABLE. Find a friend and send her your food journal every day, then let her bust you out when you get crazy. As always, moderation is the key. I heart your honesty. It seems like marathon training and losing weight would go hand-in-hand, but I didn't realize how much hungrier I would be either!! I had to "reset" my fuel choices. You are a natural mesomorph, so the lbs are mostly burning cals. However, I am completely with you on "finding" your optimal racing weight. Your lean 6' frame carries it well though! Honestly? I don't weigh myself. I go off how my pants shirts fit, and when things get a little tight, I start watching portions and taking in more plant-based foods. My "onederland" right now is running a 1:50 half marathon. I'm fixating a bit, I want it so badly. 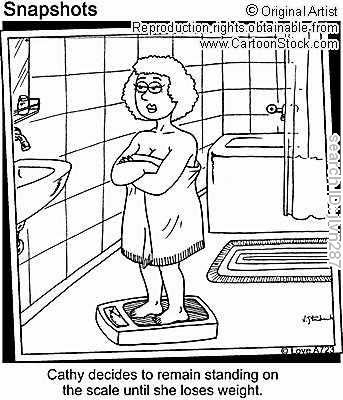 That is why I do not own a scale! My weight fluctuates if I look at food. And I learned that marathon training does not equal weight loss, last year when I didn't lose a single pound even though I was running 40-50 mile weeks!! I really appreciated her 'Reset Theory' post as well. It was a great reminder that running does not equal a free pass to eat everything in sight (um, my recent behavior). So, don't get too down on yourself. You're certainly not alone, and it sure sounds like you're nipping it in the bud! OOoooo GIRL! I SO feel you! I just posted on this very thing (and started food journaling for the first time) yesterday! LOL I love this post. I see you as the model of health and someone I can identify with from the height perspective. I aspire to your speed and so would have never guess you at 185. I am in the low 180's now, but am probably an inch or two shorter than you are. You carry your weight well and will soon be back in onederland. I'd like to say that I wouldn't look at the scale if I was as fast as you are, but truth is I am totally sucked in by the number some times. Ugh. I know your frustration!! I hit reset after Vegas. I was at my highest weight in about 2 years at that race too. It is so crazy how that happens! Marathon training =starving all the time. You can get control back! Don't be too hard on yourself, stress is a a devil too, it will pretty much turn broccoli into stored fat..(ok probably not but that is what I tell myself). I totally feel your pain. Why is it that runners have a hard time losing weight. I have 12 pounds to get to my ideal weight. I think you look fantastic, never would of guessed your weight. I actually look at all the althetic women bloggers and say I want a body like that. Hang in there! Does dropping pounds help with your get faster? First of all - I think you look amazing. 31 miles in two days? 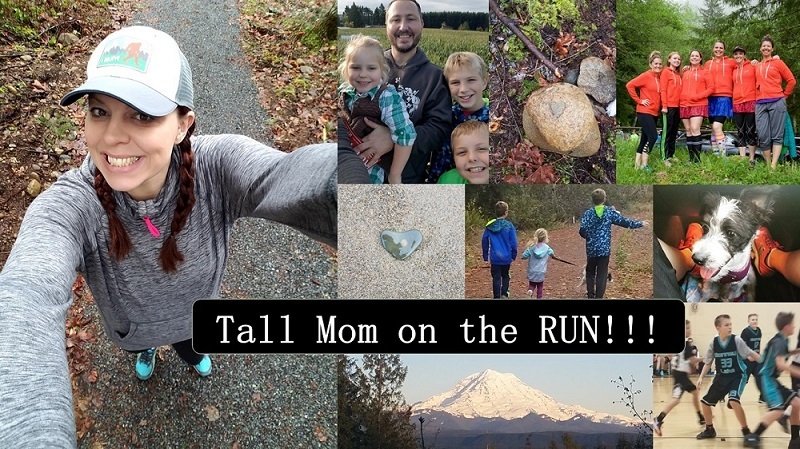 You're one rock hard mother runner! And I'm with Rose - marathon training makes you seriously hungry. I have always eaten/gained during marathon training. Just remember, if your clothes fit the same, then it could also be muscle mass. Or water retention. Ugh. Good luck. I'm rooting for you! I totally needed to hear this today! I have been thinking and going through the same thing! It has taken me until now to realize training for any race does not equal weight lose, you have to include healthy food also. Thank you! so with you on this. I always gain weight when marathon training. I had to reset a couple weeks ago...up 10 lbs from 'ideal weight'. booo. Love that comic. I might try that. :) hang in there. it will come off fast. Probably by tomorrow morning. darn water weight. My "onederland" is 150. I've let it creep up a bit. It's amazing how weighted down my body feels when it packs on a few pounds. Thankfully I hit "reset" on Monday and have already lost some of that. We can do this! I use a food diary, and love it - MyFoodDiary. I set goals for February to have at least 30g of fiber per day and 90g of protein per day. I find that some days it's great and other days I eat too many calories, but under the auspice of meeting my goals. Basically, I see that I need to eat more to meet my goals and I do it, even though I am eating too many calories. I am hoping that coming at it from this angle (of a goal and not restrictions) will help. I think it is, but I don't really know. I feel your frustration, but I gotta tell you I'm relieved to know that this isn't just my problem! Seriously???? How can I be over where I want to be when I'm racking up the miles like I've never done before? It's just WRONG! GIRL! From one tall gal to another I feel ya! I, too, have slipped (several times) out of Onederland. Good for you for taking a positive attitude and hitting reset! You'll be back to 185 in no time! You are not alone with weigh issues! I am currently struggling with an 8 pound gain and ugh, I am not okay with it! Good luck M!